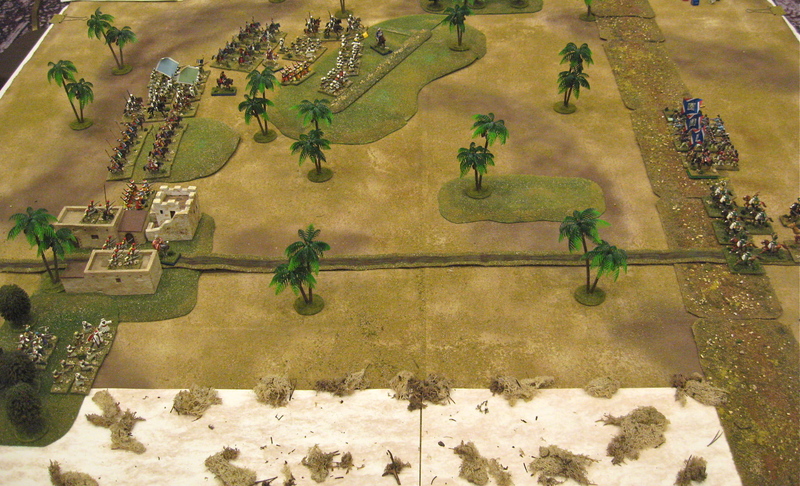 At OrcCon 2017 LAX (Los Angeles) convention Daniel and WR replayed out the Battle of Gaza 1799 scenario featured in Wargamerabbit blog back in 2011. 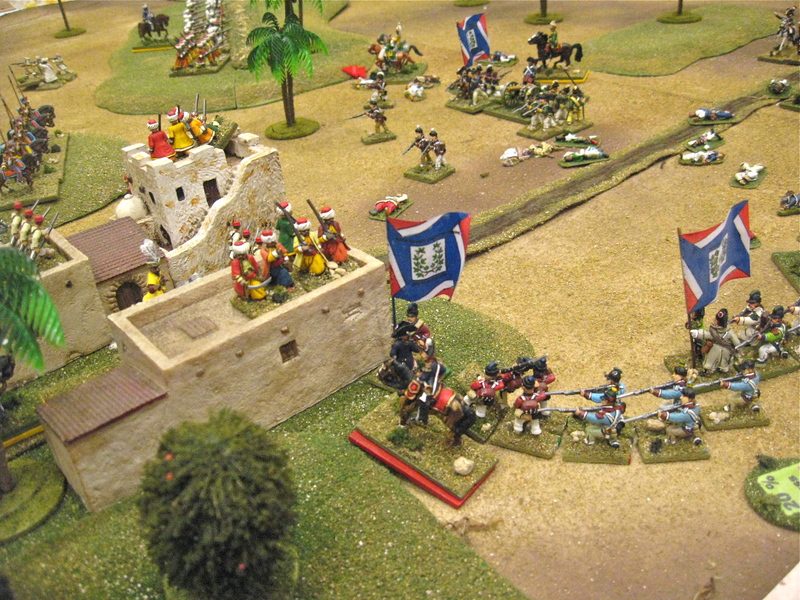 Same scenario format, the tabletop action lasted for twenty turns of back and forth miniature conflict, out of the twenty-one scheduled scenario turns (six hours of play). 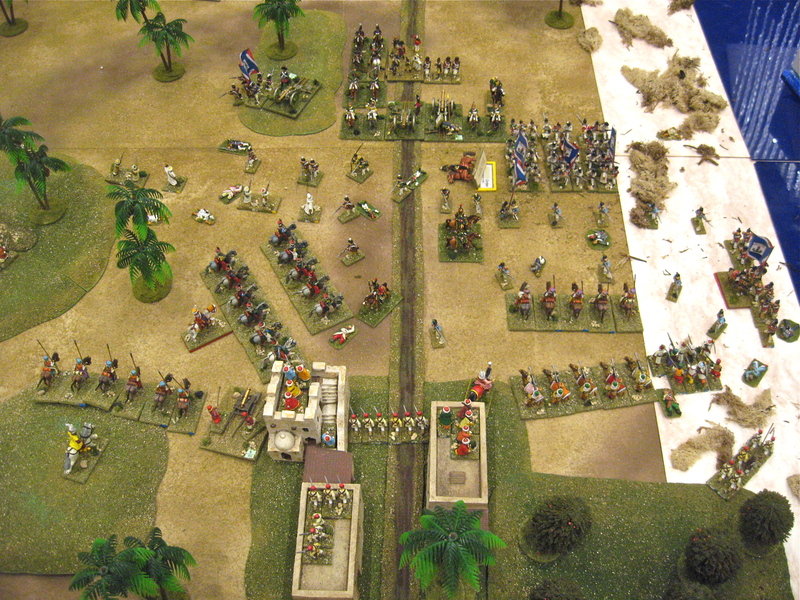 Mid game WR had Daniel on the ropes after a grand mameluke cavalry charge, but in the end the French, having higher morale and combative abilities won out. Link to the blow by blow narrative with photos for those interested. Tabletop ground scale is 50 yds. to inch. Each miniature represents 80-100 men (varies by scenario slightly), and units are battalions, cavalry regiments, artillery battery, train unit or headquarter base. If in So California some day, willing to stage warren scenarios for out of town gamers. Thank you for your comments on the tabletop scene and action. Someplace on the bookshelf is my copy of Harold's book. Sort of a favorite scenario…. small, compact, and both sides totally different. Offer to toss dice anytime at the warren, to you and the rest of TMP world.